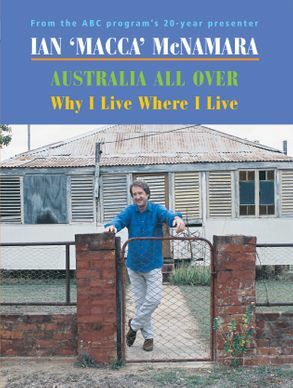 A wonderful collection of letters, poems, songs, sagas and interviews taken from the popular segment Why I Live Where I Live, all drawn together in Macca's inimitable style. these are the best 250 pieces drawn from the last ten years and cover topics such as 'Living in the City', 'Living in the Bush', 'Living on an Island', 'Living Around the World', 'Living on Water', 'Living on the Road', and also 'Where Are they Now', following up on items and people from the past. Ian 'Macca' McNamara has been presenting AUSTRALIA ALL OVER for 26 years. It is ABC Local Radio's most consistently listened-to program, with an average weekly audience of 2,000,000.